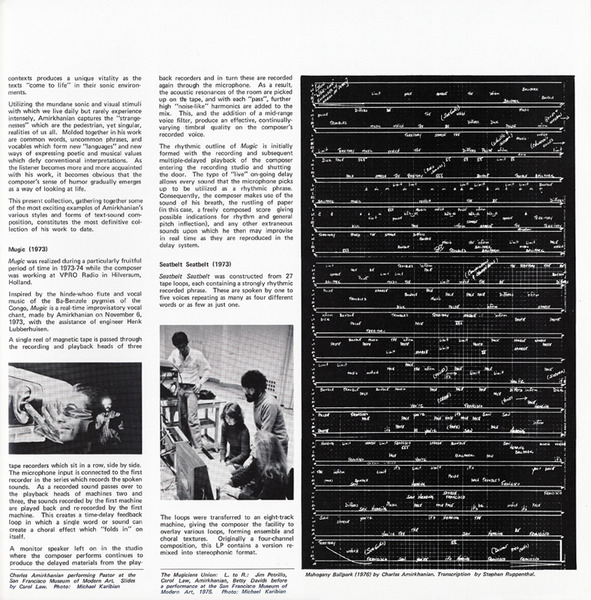 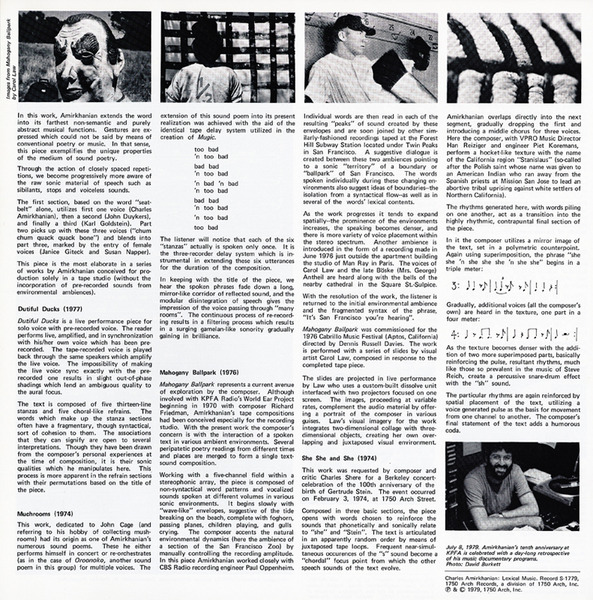 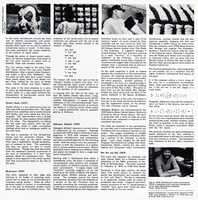 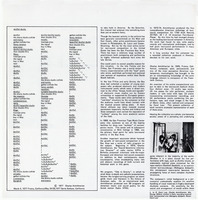 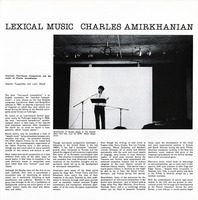 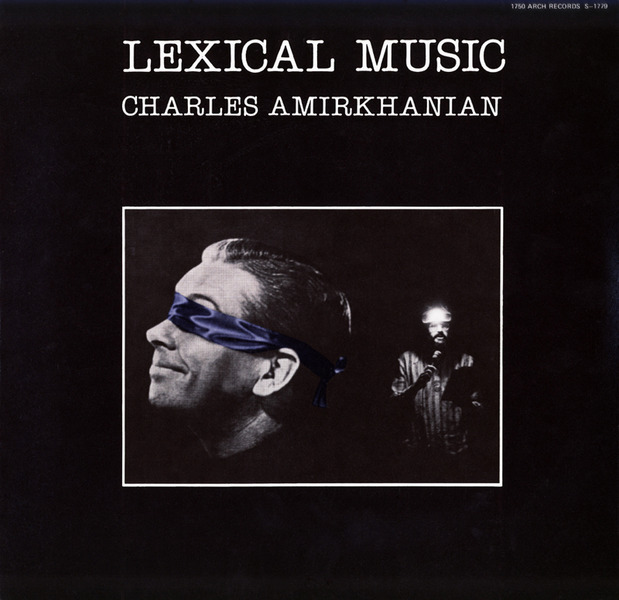 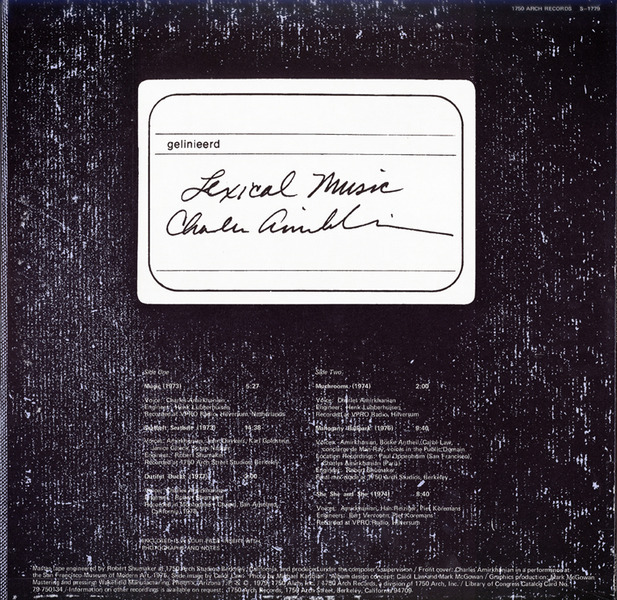 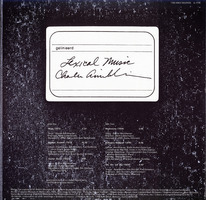 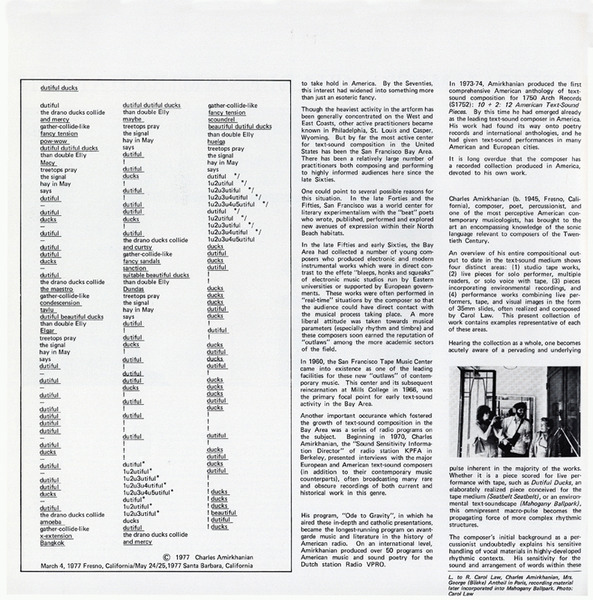 Released in 1980, this first solo LP by Charles Amirkhanian contains a selection of his text-sound compositions including “Dutiful Ducks”, “Mugic”, and “Seatbelt Seatbelt”. 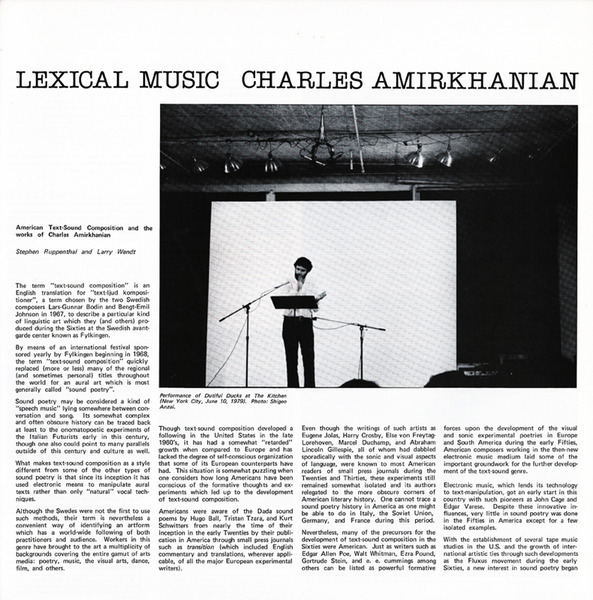 With influences from Ernst Toch's 1930 “Geographical Fugue” and Kurt Schwitters “Ursonate” to Gertrude Stein, Clark Coolidge and Steve Reich, Amirkhanian fashions words into percussion objects, layering them contrapuntally and non-syntactically. 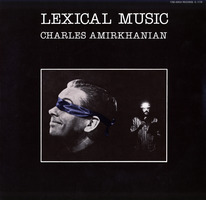 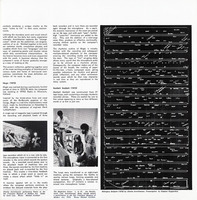 The resulting sounds lead to a reexamination of spoken language and its musical essence.